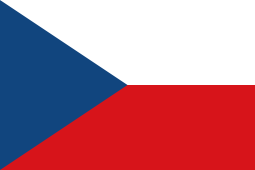 The 2005–06 Czech Cup was the thirteenth season of the annual football knock-out tournament of the Czech Republic. It began on 24 July 2005 with the Preliminary Round and concluded with the final on 19 May 2006. The competition offered a place in the first round of the 2006–07 UEFA Cup for the winner. The Preliminary round took place on 24 July 2005. Notes: 1: match awarded to Admira/Slavoj. The first round was played on 31 July 2005. The second round was played on 31 August 2005. The third round was played on 21 September 2005. The fourth round was played on 26 October 2005. The quarterfinals were played between 12 and 19 April 2006. The semifinals were played on 16 May 2006. This article is issued from Wikipedia - version of the 11/3/2014. The text is available under the Creative Commons Attribution/Share Alike but additional terms may apply for the media files.